Progressive Water Treatment offers a complete line of Nanofiltration systems to meet the needs of each individual client. 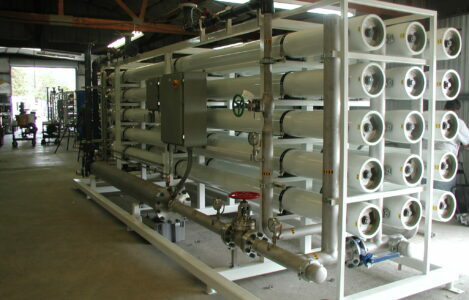 All systems are custom designed, based on the client’s raw water source and desired final water quality. Nanofiltration is mainly applied in drinking water purification process steps such as water softening and pollutant removal. Nanofiltration membrane technology is a pressure-related process, during which separation takes place, based on molecule size.